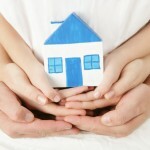 What Is Joint Tenancy With Right of Survivorship in Charlotte NC? Probate is a legal process that comes into play when you maintain sole personal possession of property that will be transferred to your heirs someday. Because other interested parties may have claims against the estate, the heirs don’t receive their inheritances until the estate has been probated. Probate in Charlotte North Carolina can be time-consuming. As a result, people often take steps to avoid it. 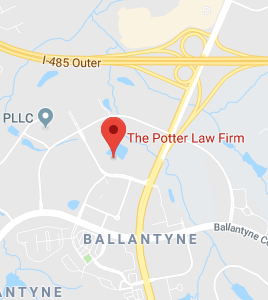 The utilization of joint tenancy with right of survivorship in Charlotte NC would be a way to arrange for the transfer of property to an heir outside of probate. Joint tenancy is another way of describing the condition of joint ownership. Right of survivorship is the ability of a surviving joint tenant to inherit the entirety of the property in question outside of probate. Let’s explain by way of example. Suppose you own your home outright and you have one daughter. You add your daughter to the deed of your home, making her a joint tenant. After you die, she becomes the sole owner of the property in its entirety. The transfer of your share of the property to her is not subject to the probate process. On the surface joint tenancy can seem like a good idea. However, there are some potential difficulties that can arise if you go this route. For one thing, the joint tenant becomes a co-owner of the property immediately. The joint tenant enjoys all of the same rights that you do. Because of this, if you wanted to sell the property, you would need the approval of the joint tenant. He or she would be legally entitled to a share of the proceeds from the sale. There is also the matter of financial difficulties. You are the one who purchased the property. You added the joint tenant as an estate planning maneuver. He or she did not contribute financially toward the purchase of the property along the way. However, the powers that be are not aware of this, and they don’t care about the details. There is legal documentation in place stating that the joint tenant owns a portion of this property. Therefore, if creditors or some other type of litigant seeking redress attempted to attach property owned by the joint tenant, they could go after a portion of the property that used to be entirely yours. You no longer own all the property. Only the portion that you own would be immune from these collection efforts. 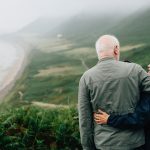 Joint tenancy with right of survivorship is something that is available to you, but it is not a truly comprehensive estate planning solution. To be certain that you are making informed decisions, discuss all of your options in detail with a licensed Charlotte NC estate planning attorney.